Indian women are finally making their mark felt across every genre. Cricket which was considered only a men’s game has also shown women power now cropping up. 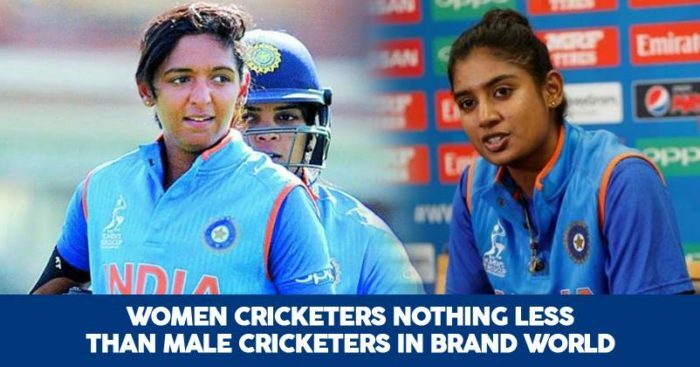 Not just on the field but these Indian women cricketers are giving men their run for money even when it comes to endorsing brands. 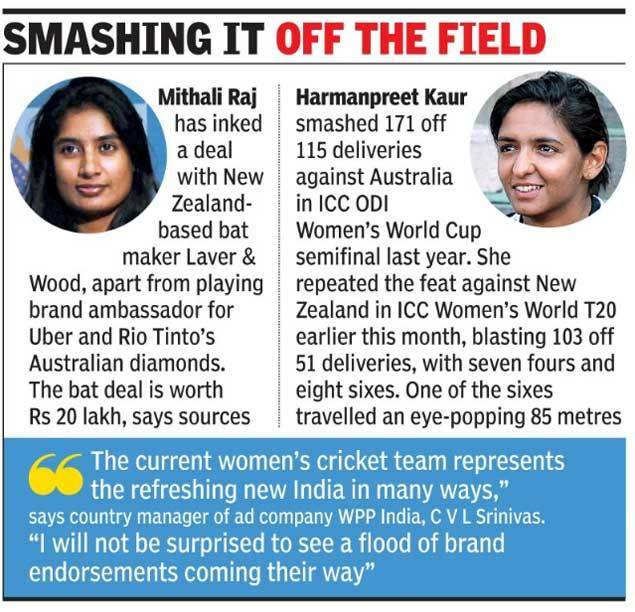 Mithali Raj, Smriti Mandhana and Harmanpreet Kaur, the top 3 players of our Indian team have signed deals with brands and will soon be seen across mediums promoting brands like fruits juices, diamonds, cab aggregators and shoe brands. 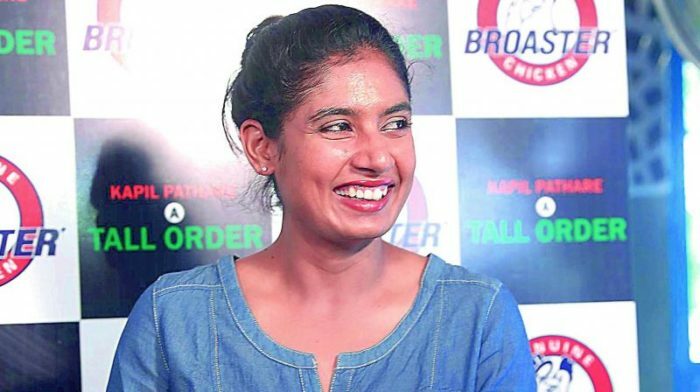 Mithali Raj has picked up a deal with Laver& Wood, a New Zealand based bat maker and the deal is said to fetch Rs 20 lakh. She is also the brand ambassador for Uber and Rio Tinto’s Australian diamonds. Footwear retailer Bata, on the other hand, has picked Smriti and Hero MotoCorp sponsors her bat. She is said to be charging between Rs 40-50 lakhs per year per endorsement. ITC has chosen Harmanpreet Kaur as their brand ambassador for their juice brand B Natural. Harman is estimated to charge Rs 10 lakh a day for ad shoots and Rs 15-20 lakh per year for endorsing apparel or footwear brands. Tyre maker CEAT who has a long-standing association with cricket and sponsors heavyweight brands for cricketers Rohit Sharma and Ajinkya Rahane has also signed up Kaur. Even teenaged batting sensation Jemimah Rodrigues has signed up with the batmaker Laver & Wood. There could be more deals in store. “We already have several individuals from the Indian team being recognized by brands as fit to endorse their products,” said Bunty Sajdeh, CEO, Cornerstone Sport, which manages Virat Kohli.